Living in France for a little over three months, I’m beginning to get into the rhythm of the weekly calendar. Wednesdays and Saturdays are market days; Tuesdays, Thursdays and Fridays are work days with all the stores and businesses open; on Sundays and Mondays the place shuts down. Streets are quiet and mostly empty. If you want a liter of milk, a loaf of bread, or a bottle of aspirin, you have to drive out of town to buy it. Sundays during Christmastime are different. There are holiday events at churches, tastings at wine domains and in villages like San Quentin la Poterie. Here are some highlights from a wine tasting at Domaine du Grand Chemin, a wine domaine near Arles, less than an hour’s drive from Uzes. 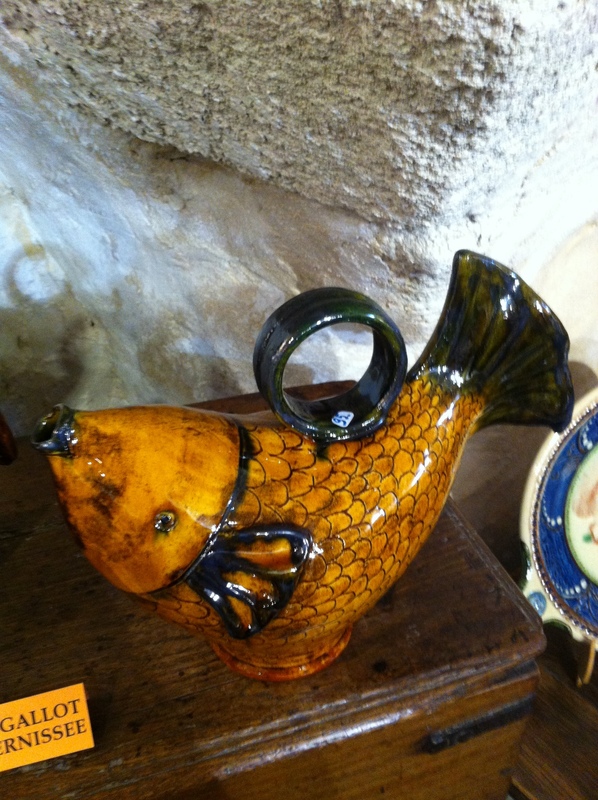 Open house in San Quentin la Poterie; heaven-on-earth for pottery lovers like me. So many choices. So many amazing artisans. Visiting one shop after another in this small village that’s dedicated to ceramic arts, it’s difficult to realize there is so much talent and variety in one place. This is a “must-see” for visitors to Uzes. This weekend all the shops were open with the artist present. There were many I had never been in before. As hard as it was for me, I walked away with only one small pot and six small coffee cups (tasse). Here’s a slide show for a better view some of my favorite ceramics and artists. I love wow gold! Ordered these, General, really nice fashionable wow gold! I amm extremely impressed with your writing skills as well as with the layout on your weblog. Thank you! Glad you’re following. thoughts. Great site, continuе the good work!